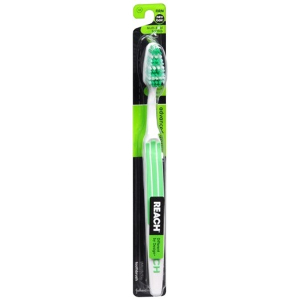 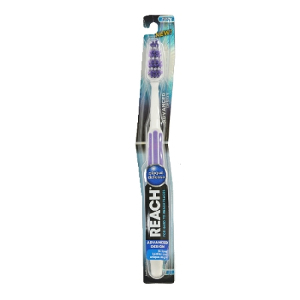 REACH toothbrush with its unique angled neck and tapered head is designed to clean the hard-to-reach places in the mouth. 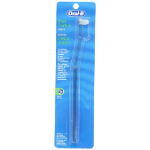 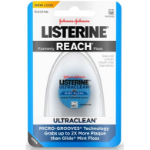 Longer outer bristles remove bacterial plaque along the gumline while the shorter inner bristles clean plaque from tooth surfaces for an effective overall clean. 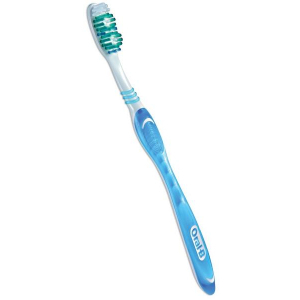 Unique Power Tip helps clean behind front teeth and hard-to-reach back teeth. 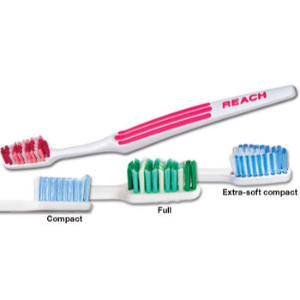 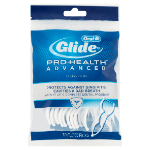 Polished end-rounded bristles help protect tooth enamel and gums. 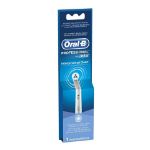 Rubber grip on handle provides maximum control when brushing.